I hope you enjoyed your weekend and the Summary Sunday videos. Let me start by thanking you for all the kind words in your Facebook and Messenger comments. The Prep School is a very special place and your basics may not realize it now, but many will look back on this year as the best of their time at the Academy. 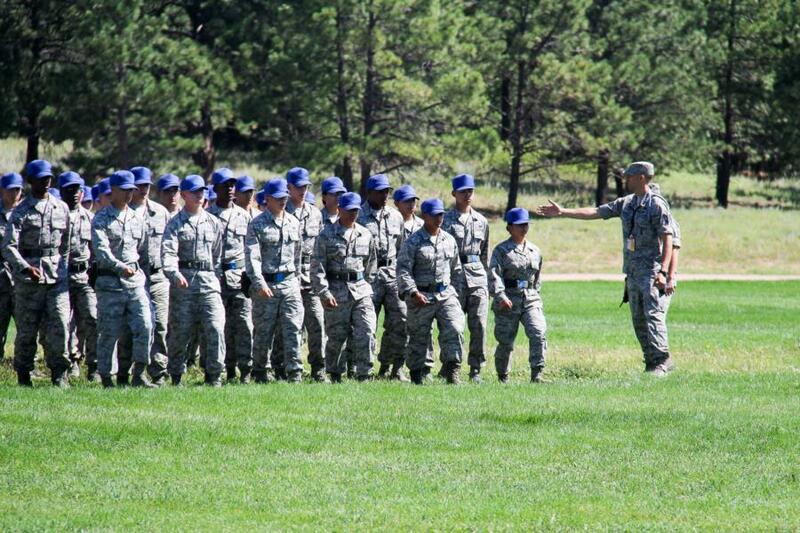 There is a reason why all but one of the USAFA cadet cadre training your basics were preppies themselves. They want to be here and see it as their responsibility to make sure this class gets off to a good start. They are invested in their success. I saw them standing right where your basics are today four years ago. Preppies are Preppies for life. My son was one too, so I know. 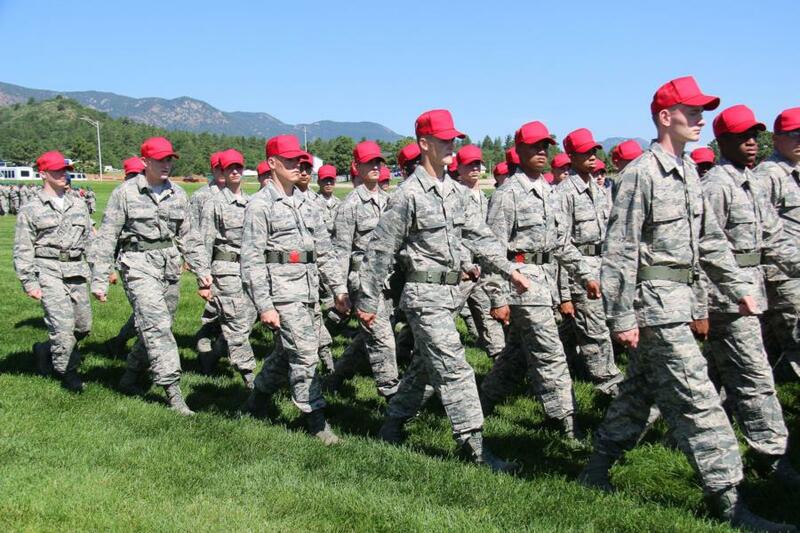 Since my last Blog entry the Basics have taken their first physical fitness test (PFT), gotten their military ID cards photos, had lots of briefings, had an honor lesson, and they have marched alot. Let me take a few minutes to talk about this week. Today and tomorrow were very lite, photowise. These first few days of basic training are full of briefings and are pretty mundane. Tomorrow we may be able to catch some Intramurals (kind of like PE). Wednesday, Thursday, & Friday, it will basically be like "Groundhog Day" The schedule will be exactly the same each day, with each squadron taking their turn doing one of three activities each day. The Ropes Course, Dental Clinic, & Security Clearances. We will cover the ropes and dental clinic each day, but not the security clearances for obvious reasons. 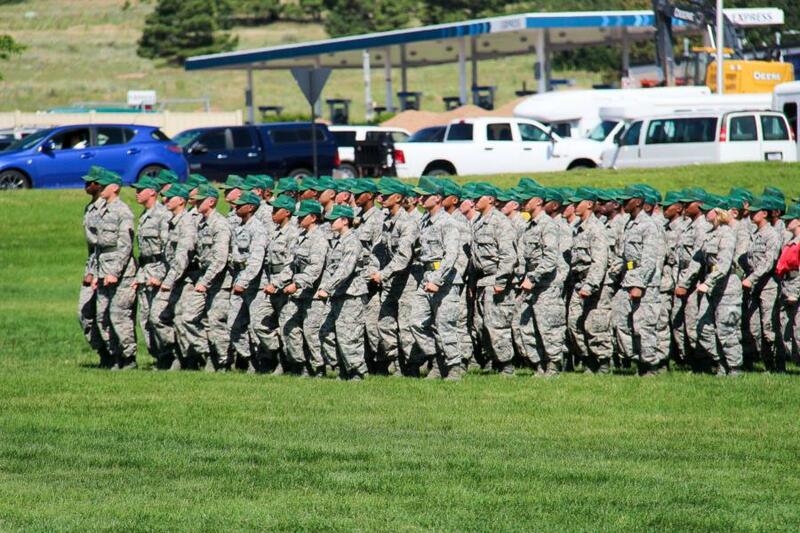 So, each day one squadron will be MIA from photo coverage. There will be lots of photo opportunities on both the ropes and the clinic, so be sure and check back each day for all the photos. Oh, before I go... Just a reminder, you will see some basics wearing colored vests in the photos. Basics wearing them have some kind of temporary physical limitation. The color of the vests (called Pinnys) alert the cadre of the limitation. Blue means an upper body limitation, green is lower body, and red means both. Yellow means they should use caution and can do physical activity at their own pace. Now, having said that, please don't start stressing if you see your kid in a pinny. The academy has always used an abundance of caution when it comes to injuries. Some of these basics are doing way more physical activity than they are used to. Bumps, bruises, sprains, etc are bound to happen. The basics are well cared for, so be at ease. Ok. That's it for tonight. Lots more to come. Back at ya tomorrow.